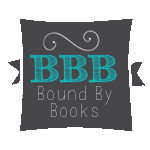 Bound By Books Book Review: Exploited by Lane Hart is LIVE! Exploited by Lane Hart is LIVE! New Dark Romance by Lane Hart! NOW ONLY $0.99 & Free on Kindle Unlimited. I’m going to hell, and my angel’s about to lose her wings. WARNING: This book contains some dark, dirty and dangerous situations before ending in a jaw-dropping cliffhanger. The debauchery will continue in the second book in the series, Redeemed. I casually walk around the cluttered racks and shelves of used junk, touching lamps and other random things occasionally, as if I’m just browsing and not intent on buying an illegal gun. I just keep wandering around until, what do you know, the shiny guns in the glass case just so happen to catch my eye. There are three choices, small, medium and large. I’m sure a gun enthusiast would know more about them like make or model, but to me, it’s just eeny, meeny, miny, moe. Deciding on the large one so that I do this right the first time, I pull out the wad of cash I grabbed from my childhood piggy bank and start counting out the three hundred dollars required for my purchase based on the handwritten price tag. I lose count when the door buzzes, announcing another customer. Nosy, I glance over to see who it is. My blood warms in my veins, sending a scalding blaze of heat from my scalp down to my toes at the mere sight of the tall man. Everything about him screams dangerous, from the thick chestnut-colored facial hair to his black leather jacket in summer and the cigarette billowing a cloud of smoke from between his two fingers. When he removes his dark sunglasses, it’s his lowered brow and deep set eyes that are the scariest. His cold gaze undresses me from my V-neck tee down to my open-toed platform sandals before he deems me lacking and quickly moves on to the used guitar display in the corner. But at least he actually saw me, if only for a few, brief seconds. Lifting her off my bike, I stand her up next to it. Her legs are so wobbly she has to reach for the handlebar to hold herself upright. That’s fine, she won’t need to be standing for the next part. “Get on your knees,” I order, and then I have to steel my features to hide my surprise when she obeys with no reluctance, kneeling right down on the uneven pavement. Her long, wavy butterscotch hair spills over her shoulders, throwing off streaks of gold in the sunlight, practically forming a halo. My thrill-seeking angel is about to lose her wings. Well, she may not lose her wings just yet, but those ivory feathers will definitely be stained. Darkened. And I wanna be the one who pluck every last one of them. Why is the idea of dirtying her up so f***ing hot?